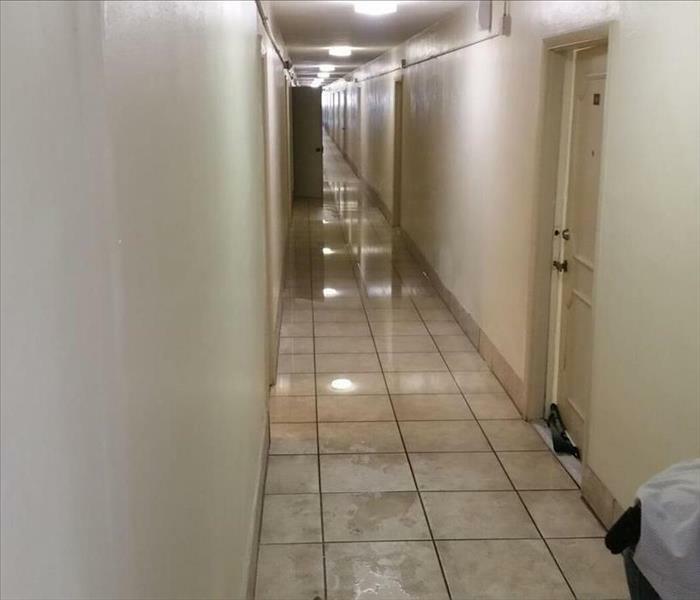 Water damage to the hallway of this Cocoa home’s hallway was initiated by a plumbing failure in an adjoining bathroom. 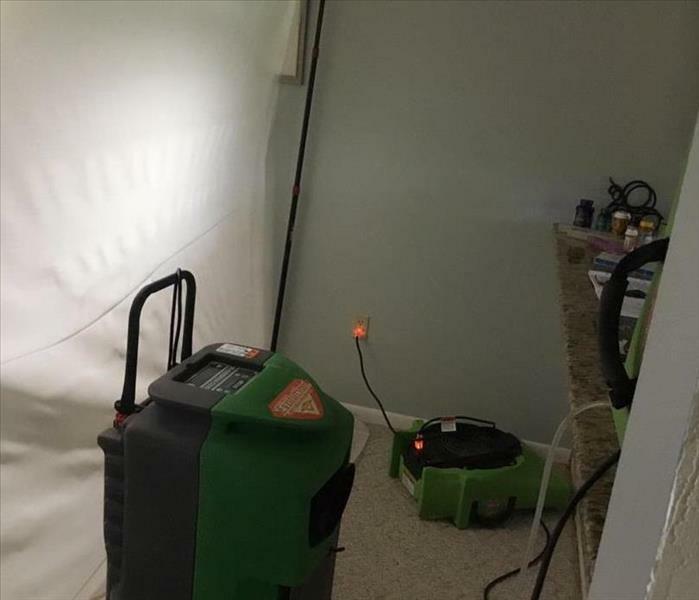 SERVPRO of Central Brevard Suctioned up the water and followed that up with the placement of a dehumidifying console to help dry the affected area. Water damage can affect your home through a window that failed or was left open during a storm or unexpected rain. Sometimes the damage can affect the flooring, the wall and the wood trim surrounding the window itself. 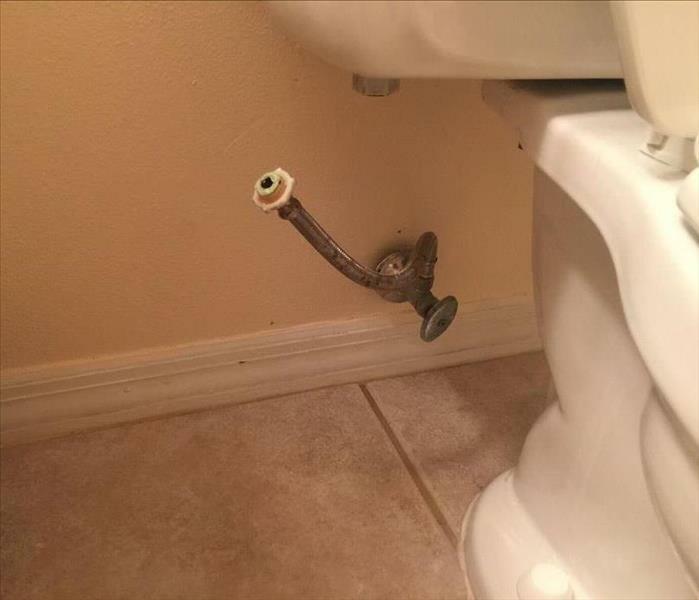 SERVPRO understands and follows the path that the water entering your house took to completely remediate the damage. 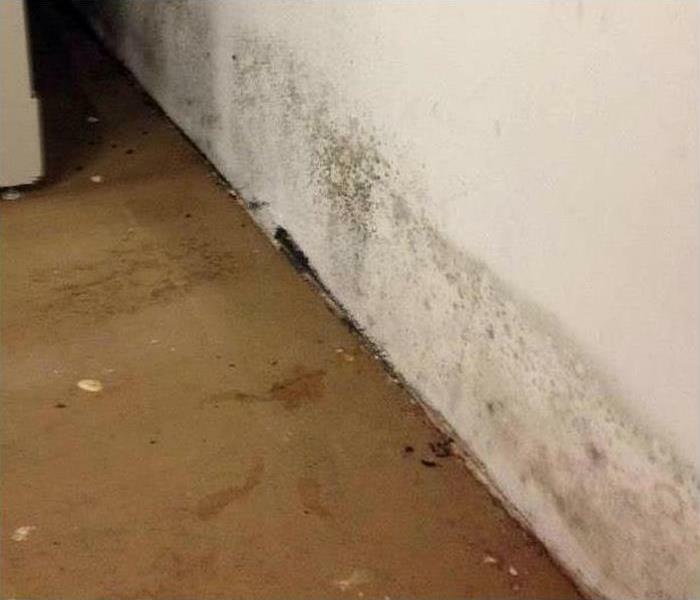 Contact us should your home face a similar water damage scenario. Wow! This picture says it all! 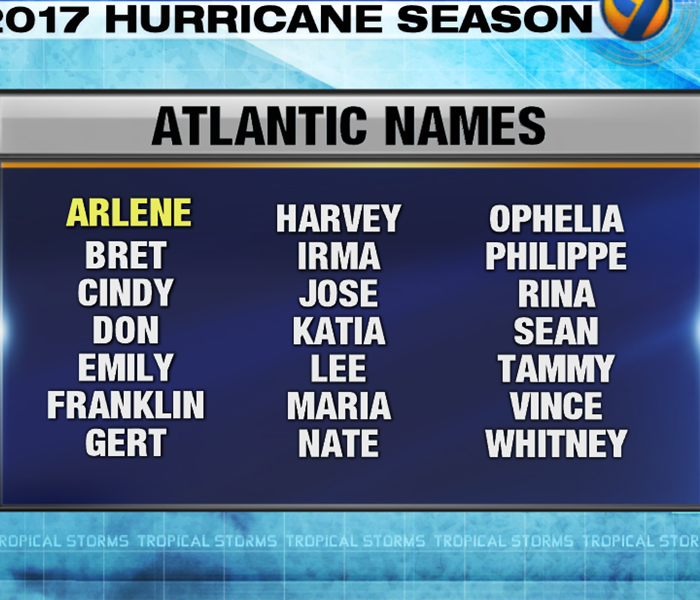 Hurricane Michael packed a destructive punch that not many who were affected by it will soon forget. The loss is devastating. 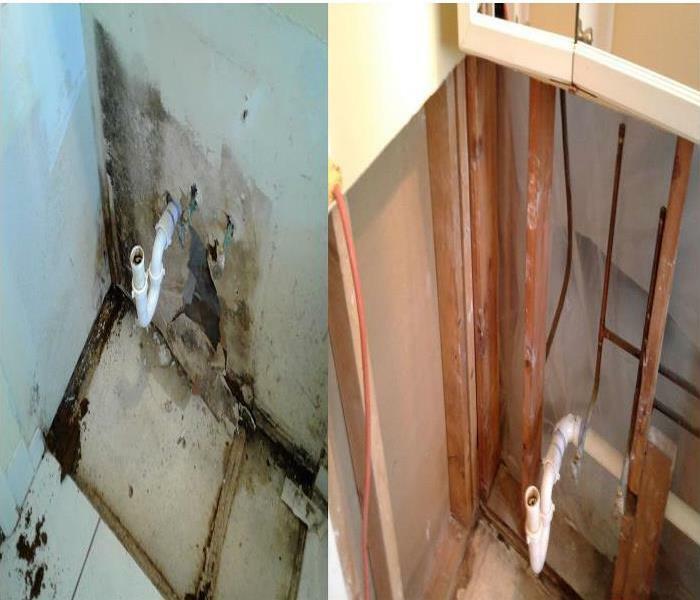 SERVPRO proudly answered the call to help restore this property. We have the equipment and training to handle any size disaster- even during power outages. First, we removed the damaged materials and dried out the property. After removing the water, we carefully monitored moisture levels. We are available 24/7; 365 days a year. No emergency is too large. 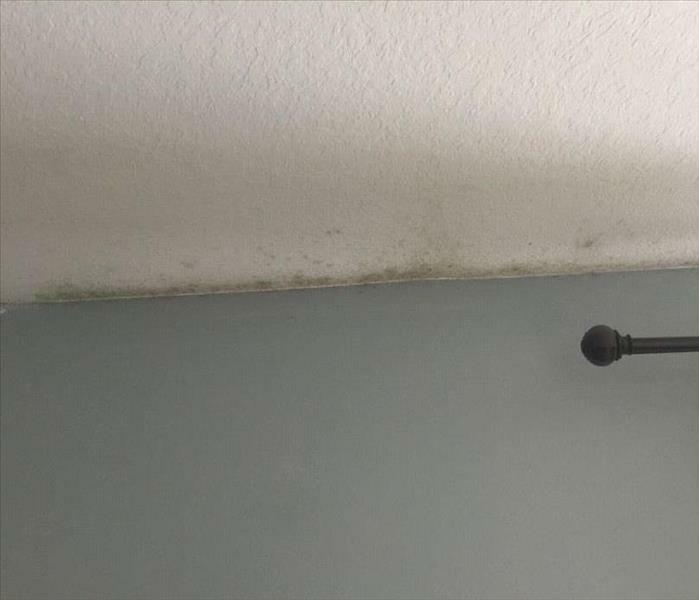 When mold invades your home, you need help from a professional restoration company like SERVPRO of Central Brevard. Our highly skilled technicians are ready to respond 24/7 to your mold damage emergency. Our crew has the training, experience, and equipment to restore your home to pre-damage condition. 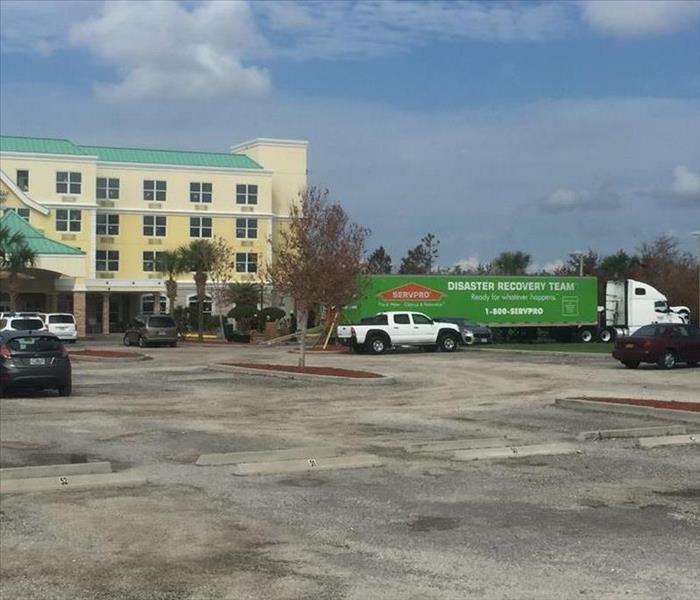 We are proud to be members of a SERVPRO Disaster Recovery Team, and we anticipated the need to help our fellow Floridians once Hurricane Michael passed. Our owner Raymond Owens joined the skilled Production Managers and Technicians as they were ready to roll out our Green Fleet across the State to Panama City. We're Faster To Any Size Disaster. 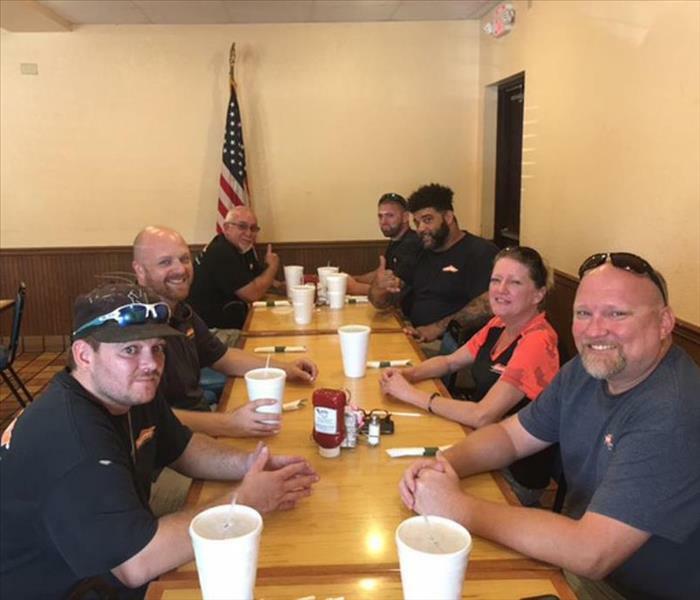 It would have been nice if the whole crew could have attended, but it was great to take a break from the hot day and have a relaxing lunch (on the boss) at one of our local Cocoa favorites Kays Bar-B-Q -This group is like family! 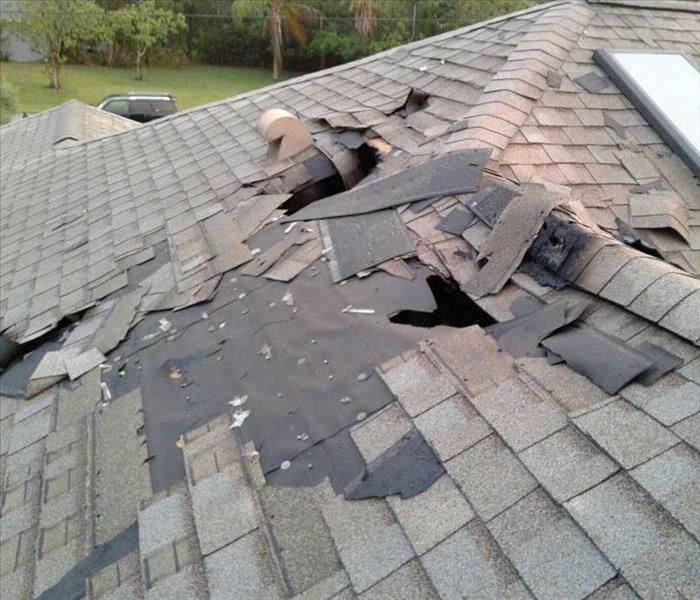 The results of a strong wind tore off a section of a roof in a Merritt Island home and dumped high volumes of water into the attic. 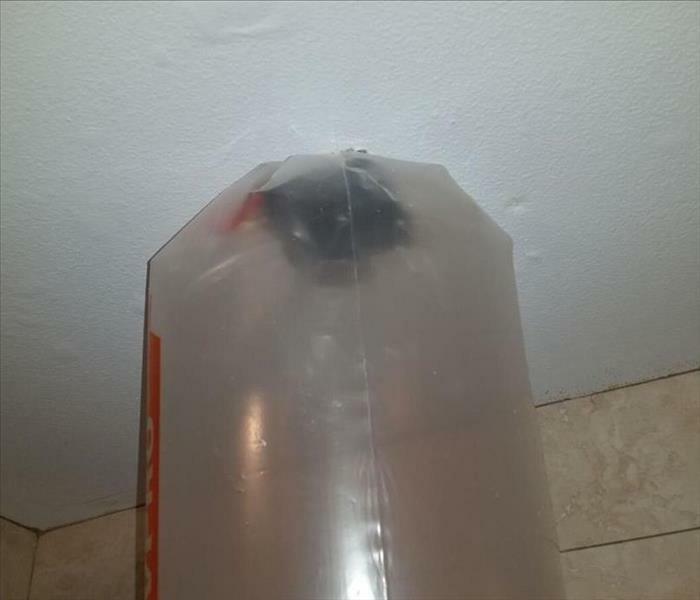 The water soaked into the drywall panels and SERVPRO technicians are ready to complete a controlled demolition to remove the hazardously hanging materials before starting the drying process. 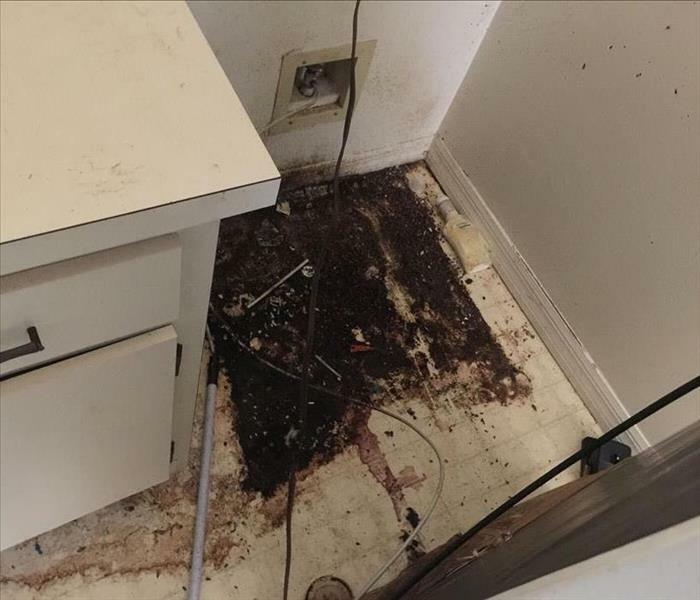 We were contacted about a commercial water damage emergency in Cocoa. Our team responded quickly, and we started the restoration process right away. Our crew worked quickly to restore this commercial property to pre-damage condition. We’re Faster to Any Size Disaster! 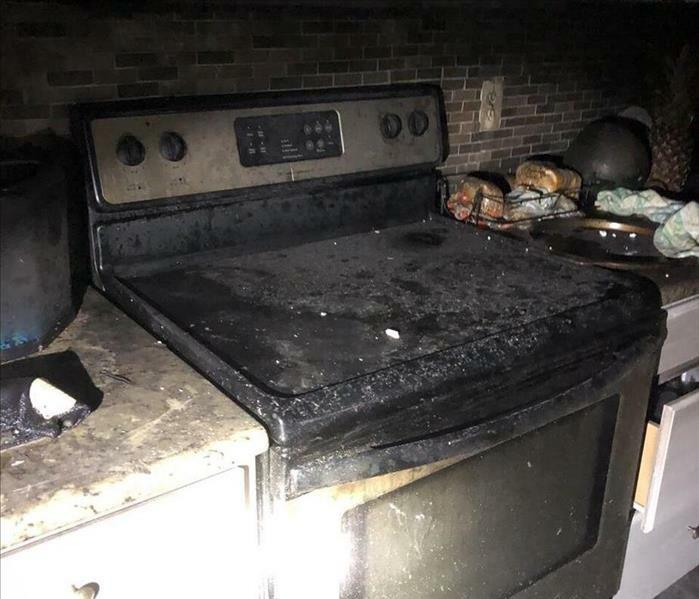 Fire damage at this home near the Kennedy Space Center began as a grease fire on the stovetop in the kitchen. 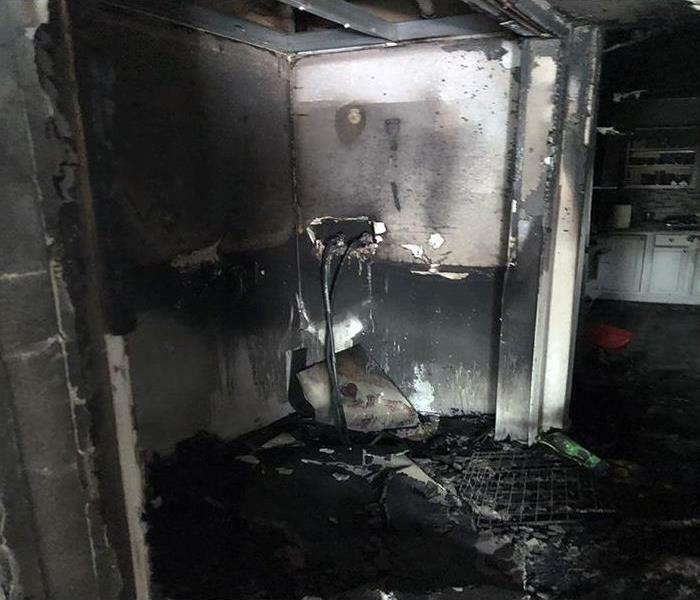 The photo shows what a mess a stove fire can create. What it can’t show is the nasty odor that is left behind. SERVPRO of Central Brevard has a great deal of experience in restoring damage from kitchen fire including treating the air quality. They will clean up the fire damage and treat the air quality using the latest technology available. Our team responded to a fire damage emergency at a property in Melbourne. 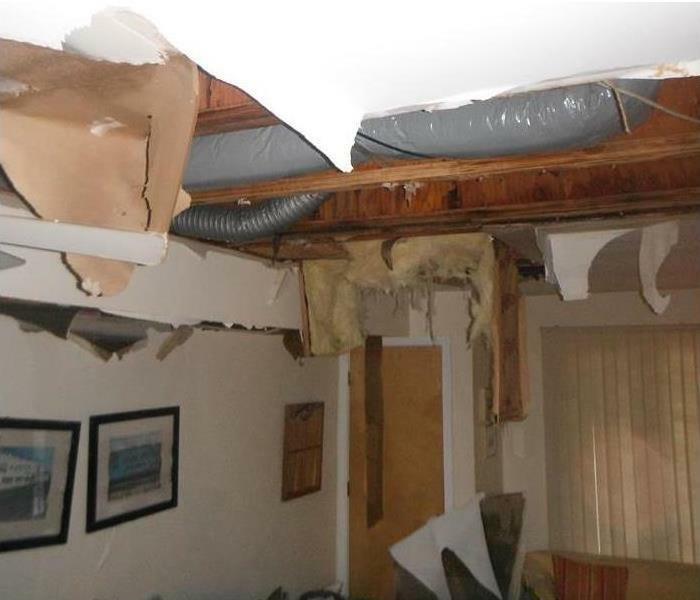 The property suffered significant damage and we needed to act fast. 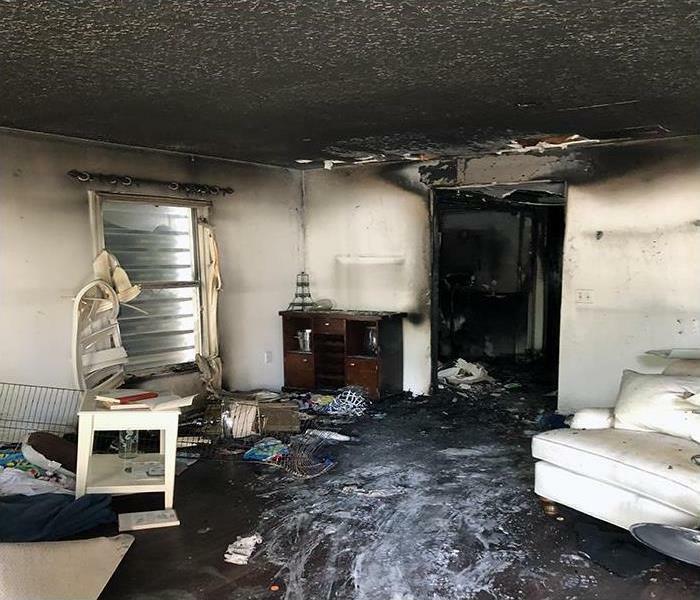 Our fire damage specialists used state-of-the-art equipment and specialized cleaning techniques to restore this property to pre-damage condition. If a fire damages your home you need to contact the team at SERVPRO of Central Brevard immediately. 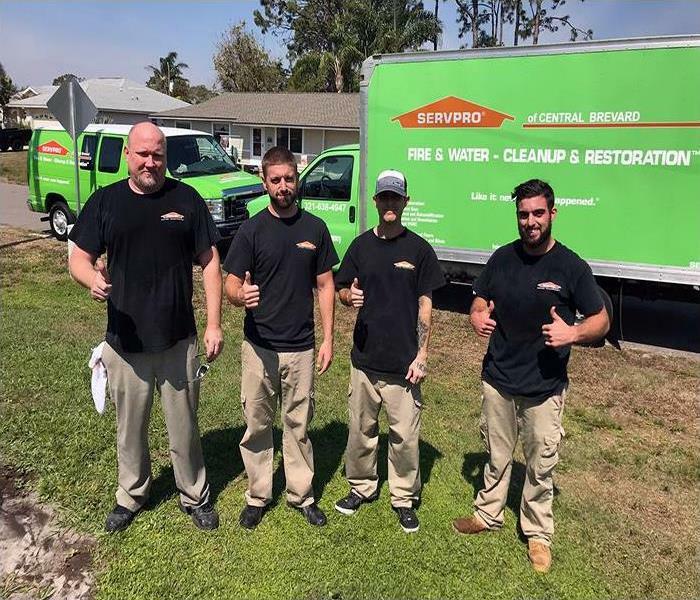 The team at SERVPRO of Central Brevard are experts when it comes to water damage. 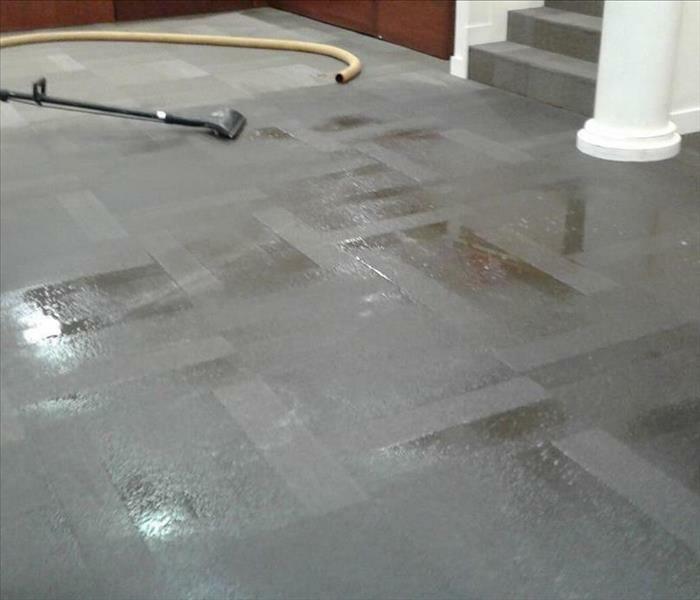 Our water restoration technicians are the best in the industry and have the experience, equipment, and training needed to restore your commercial or residential property to pre-damage condition. 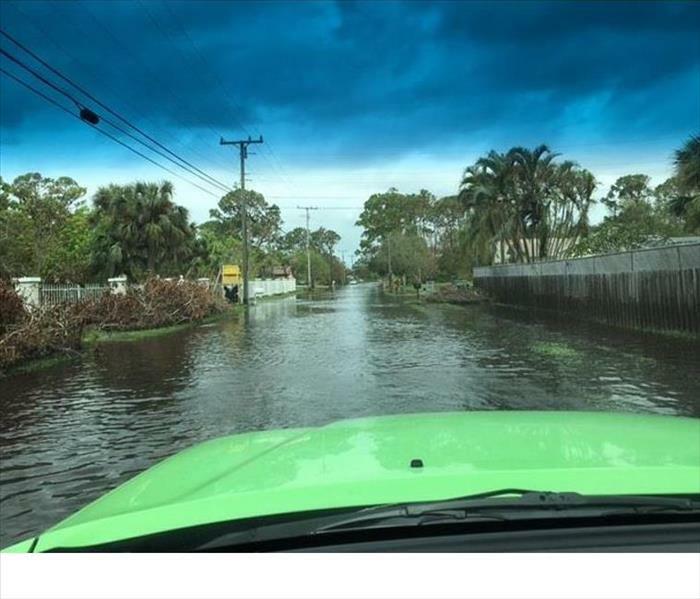 If you experience water damage in the Cocoa, Merritt Island or Cape Canaveral area, our team is available 24/7 to respond to your water damage emergency. This pic show a local bar that had an overnight water pipe burst. 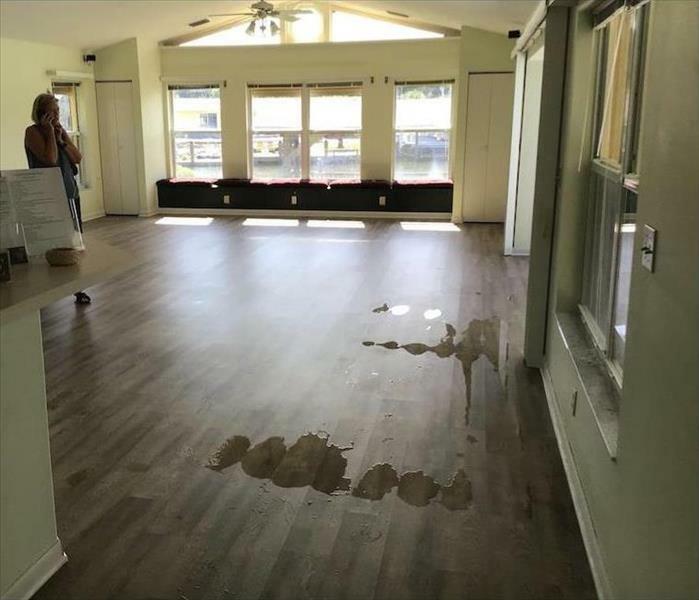 It was so bad with lots of standing water that the hard wood floor had to be removed in order to get all the water up! 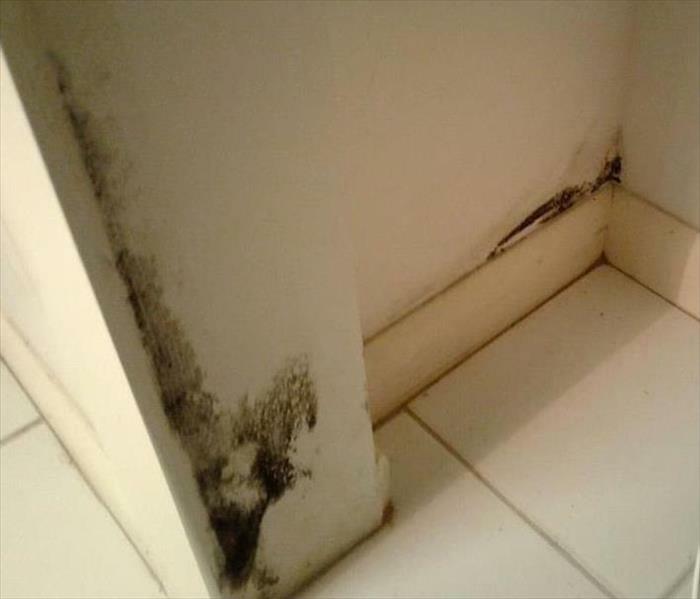 This photo is from a Cape Canaveral condo- and one of the worst mold outbreaks I have seen. The roof was damaged during Irma and they did not have any electricity for over a week- the whole unit and most of the contents had to be discarded! In the is photo SERVPRO of Central Brevard responded to a 4 unit water damage. 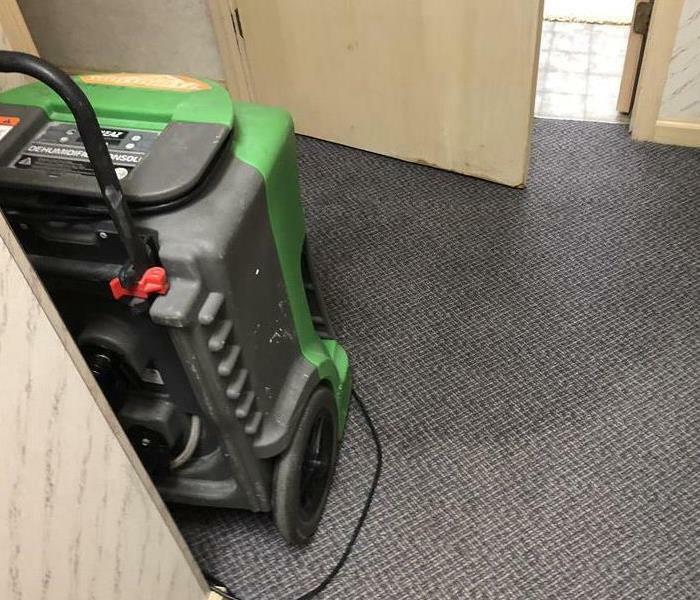 Here we have already extracted the water from the carpet and have set up contain, set air movers and a dehumidifier. We also removed the base boards so we can dry the dry wall behind it. Fortunately for the business it was very minor and the fire department gave the all clear. 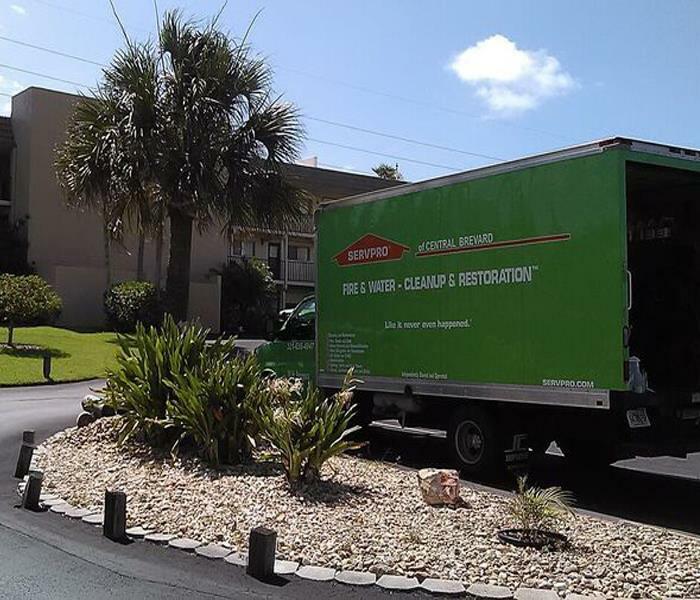 Four months after Hurricane Irma the SERVPRO Storm teams are still in Brevard county. They are a long way from home and we really appreciate the help and support they have given us. 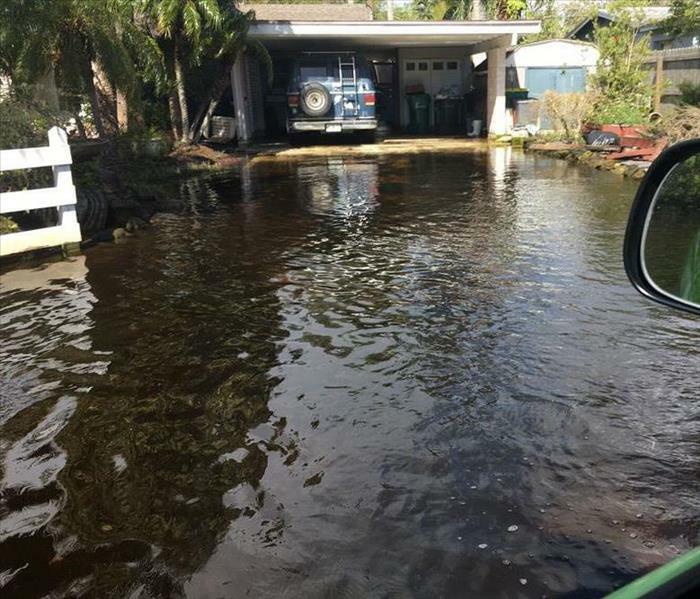 Here we see a Rockledge home that even after a month since hurricane Irma passed still has flooding waters around it- This home flooded 3 times, due to Irma and storms in the weeks that followed. 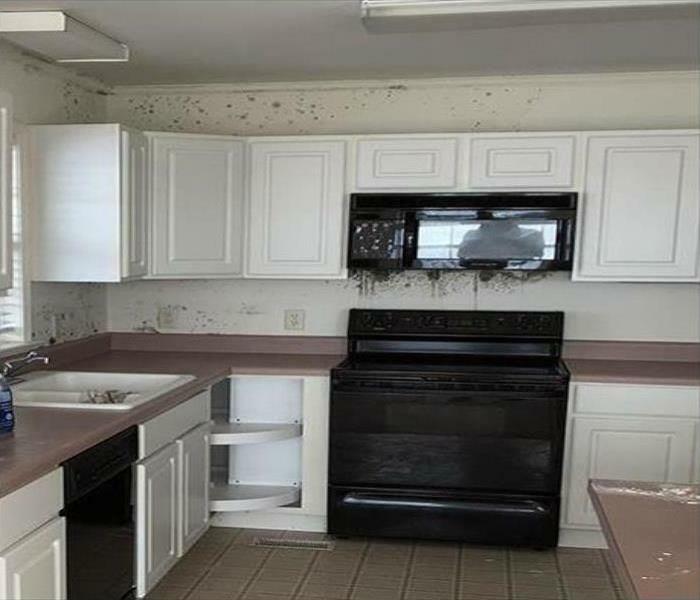 In this Photo we have mold damage from Hurricane Irma. This is what we found after we removed the kitchen cabinets, which by the way were full of mold themselves. We ended up doing a 2 foot cut in almost all of the Cocoa Beach condo and in some cases like the kitchen much more! Hopefully we won't make it to the end!! Please be safe and if you don't have an emergency plan- get one- if you need help give us a call!! 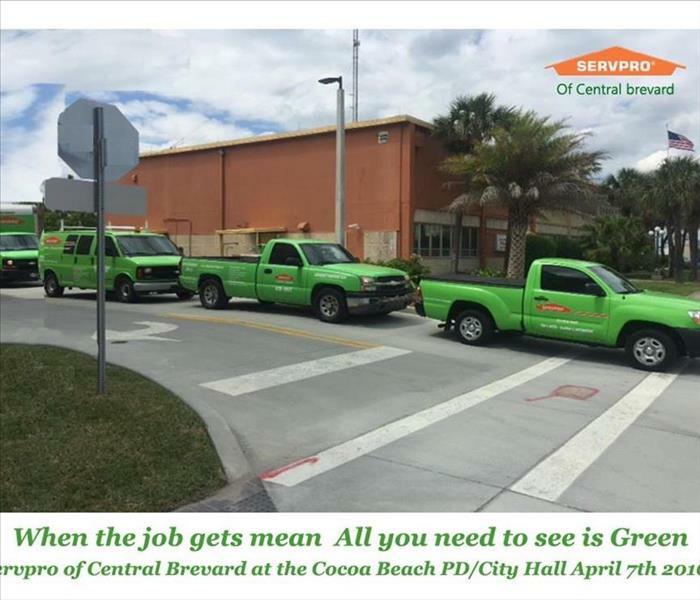 SERVPRO of Central Brevard responded to a local Cocoa, Florida bank water emergency. Here SERVPRO of Central Brevard is at a local tax preparation office on Merritt Island, Florida. 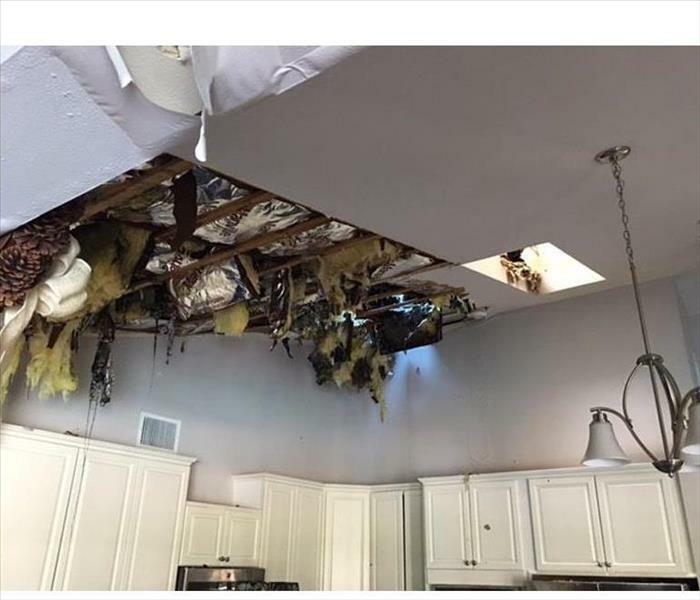 The water pooled on the roof and came in and as you can see from the pic made the ceiling crash in.. 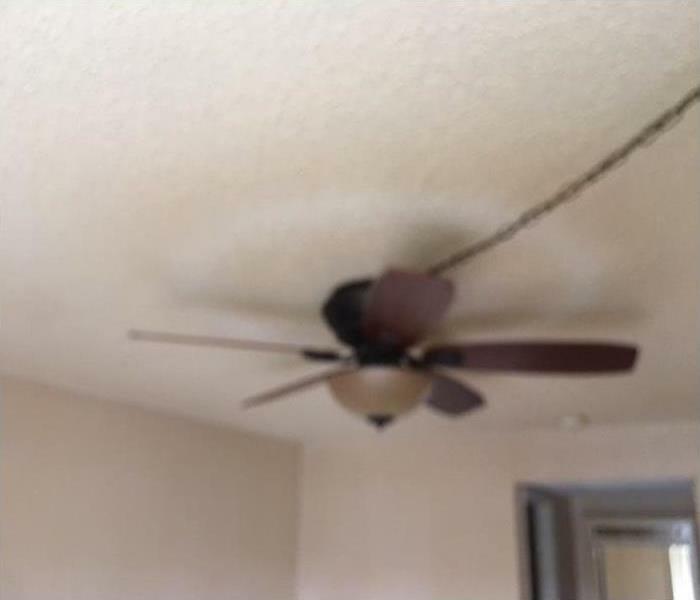 In this photo taken from a condo in Cape Canaveral- we see the effects of lots of indoor smoking- Look at the circle around the fan- basically the "white" circle is where the air flow did not allow the smoke to stick to the ceiling!! 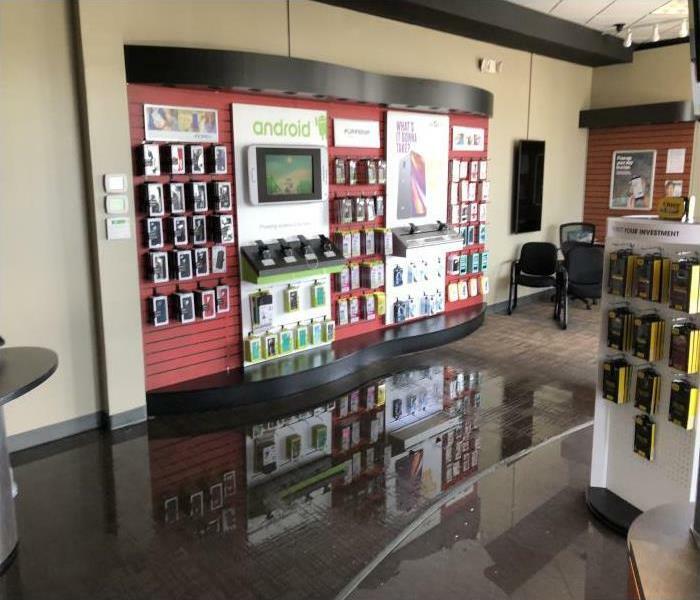 SERVPRO of Central Brevard responded to a water damage At the Cricket Wireless on Merritt Island. 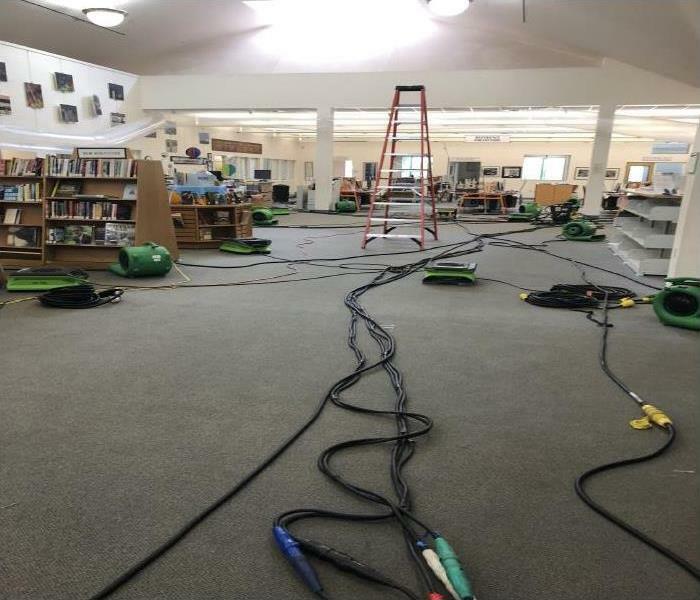 It took a day or two to get the approval to do the cleanup- and by then the bacteria in the carpet began to smell very bad. So they had us pull the carpet- which really needed to happen!!! It was necessary to strip the area down to the bare studs to be sure all the mold was gone. This photos shows the damage a fire did to this roof in Melbourne, Florida. The fire was started by a lightning strike from a storm that passed by. What you don't see is the week spots where the plywood had burnt away. A very dangerous situation, especially for the fire fighters . You can see the damage to the insulation as well as the trusses. Many rooms were affected as there was soot everywhere as well as water from the firefighting efforts. This has been going on much longer than that. It seems that most of the damage in Central Brevard was done to fences. Thanks to a quick acting neighbor and the Fire Dept- it could have been much worse. 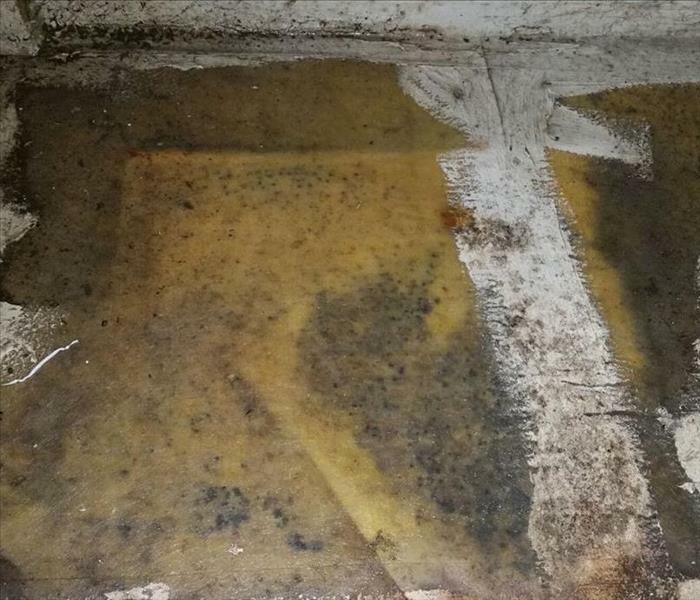 This is a prime example of why you might want to clean under your refrigerator every now and then- this pics shows mold plus a whole lot more!! We had to drill a hole in the ceiling in order for the air movers and dehumidifiers to dry above the ceiling. I recommend checking your supply lines at least twice a year!! 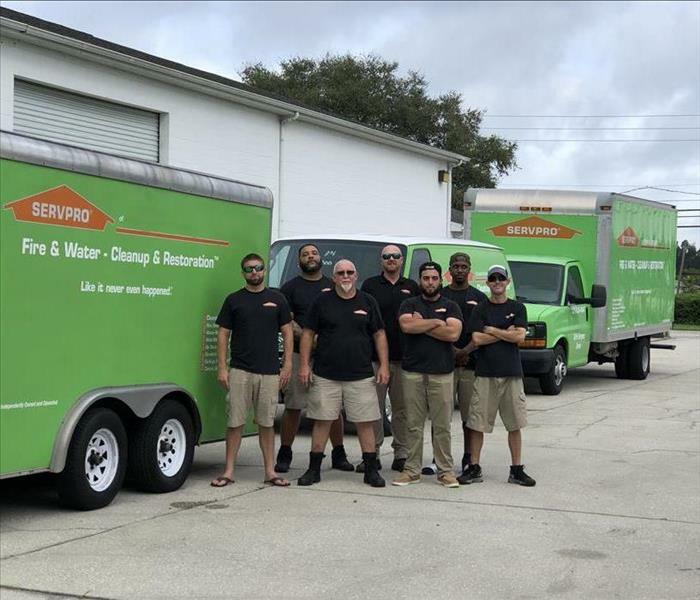 Here is a current photo of our wonderful crew here are SERVPRO of Central Brevard- But we are more than that- we really are a family- And we look forward to being here to serve your family when you need us!! 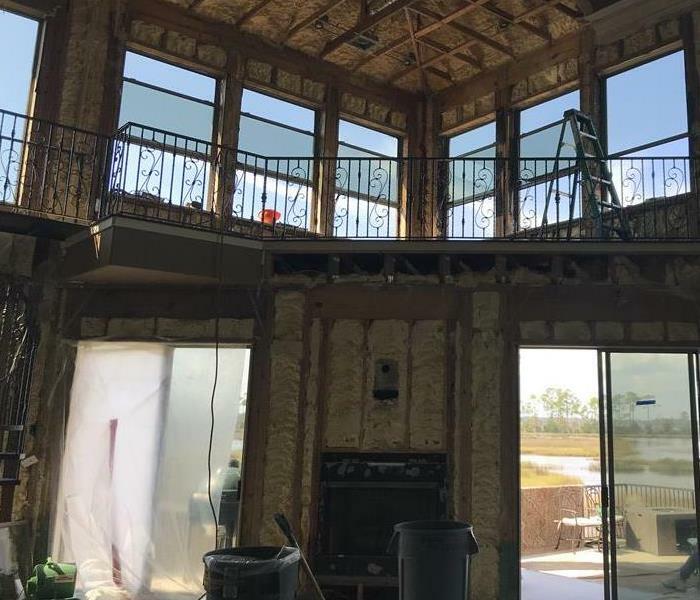 Working for SERVPRO of Central Florida can be the greatest job on earth- Especially when you get to work in an awesome location like the space coast. It just doesn't get any better than this!! This is our table at the 3rd annual taste of the coast which took place at the Cocoa Beach Country Club on September 23rd 2016. We met tons of great people and enjoyed some really awesome food- Can't wait for next year.